An unforgettable cultural and festive experience ! 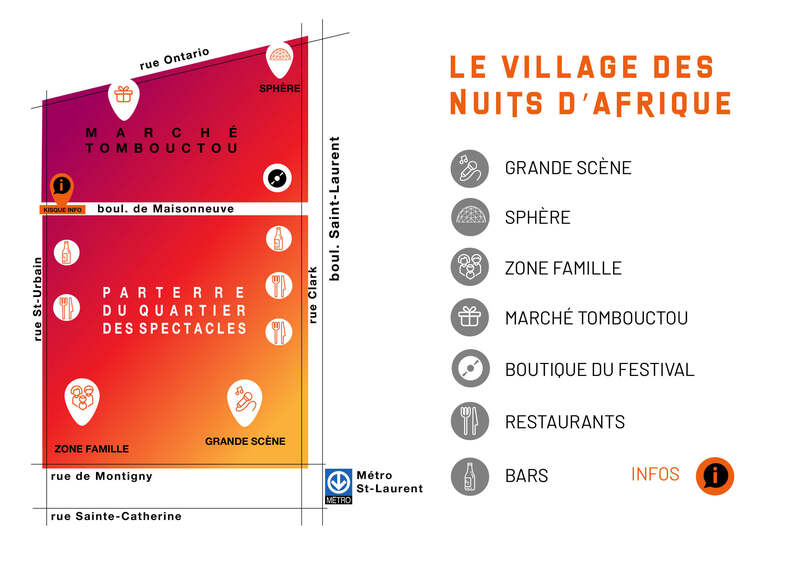 A meeting place for all lovers of world music and cultures, the Nuits d’Afrique Village offers you concerts, participatory workshops, trendy DJ sets and activities for the whole family. In addition to the Scene and the Sphere, discover the Timbuktu Market, the exotic restaurants and leisurely enjoy the festival’s atmosphere !